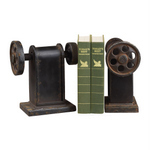 Libraries have always been a way to display your collection of books with pride, and decorative bookends give you a way to add a little flare and personal touch to your bookshelf. 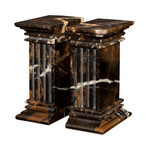 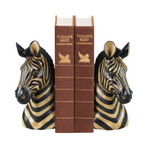 Many book collections are prized and precious, and having the right marble, animal, globe, or professional bookends will ensure your books are taken care of properly. 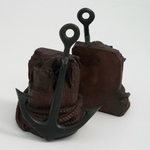 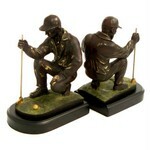 Frog, sailboat, golf, and dog bookends also make excellent gifts for the discerning connoiseur. 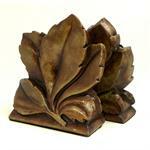 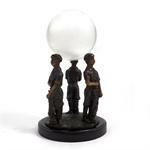 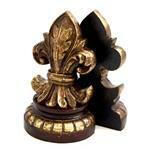 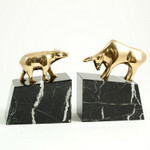 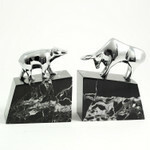 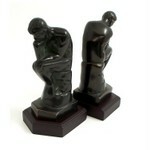 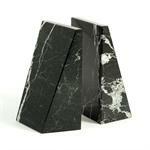 Looking for more bookends than we have listed here? 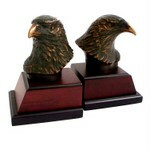 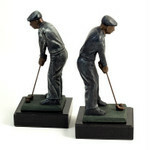 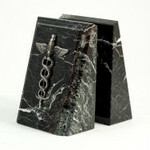 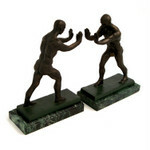 We've got a variety of styles to choose from in our gold bookends, sports bookends, black bookends, and unique bookends categories. 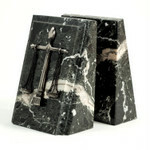 Marble designs, carved animals, and geometric shapes await in these additional bookend categories that are sure to spark your curiosity. 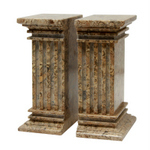 Be sure to take a look at our decorative bookend resource pages to read up on even more info about these one-of-a-kind home decor bookends.